When one of the world’s biggest festival celebrating of Scotland’s national drink arrives in Speyside in May, there will be much, much more than whisky to whet the appetite of visitors. The Spirit of Speyside Whisky Festival features a packed programme of over 370 events ranging from the quirky to the bizarre. Visitors to the festival, which runs in Scotland’s best-loved whisky producing region from May 1 to 5, will be able to go scarecrow-watching, knit a giant cushion and even learn which single malt is best-paired with a bacon roll. Festival chairman James Campbell says the event aims to offer something for everyone, whether they are a whisky aficionado or just visiting to soak up the electric atmosphere in towns and villages across Speyside. He adds, “The Spirit of Speyside Whisky Festival is not only a celebration of Scotland’s national drink in the country’s famous whisky region, it has a packed programme of events, offering something for everyone. “Naturally, many of the festival’s events attract visitors with a passion for whisky, but the Spirit of Speyside Whisky Festival also offers guests an opportunity to enjoy the region’s finest crafts, music and food and drink offerings and features many unusual activities. Visitors keen on getting crafty will find a number of events to hone their creative skills at Three Bags Wool in Aberlour. Visitors will be able to learn how to weave a doorstep mat and spin yarn, and will even be challenged to knit a cushion in under an hour armed with chunky wool and super-sized knitting needles. Tattie-bogles, or traditional scarecrows, will take over Rothes with the annual Whisky Festival Tattie-Bogle Competition. A colourful array of tattie-bogles will be seen displayed around the town, and all will be hoping to claim the winner’s prize. The event is organised by the community, and a huge amount of effort goes into the eye-catching designs. Visitors to the St James Hall in Dufftown will be asked to solve the age-old mystery of what dram goes best with a bacon roll. From 10-11am on each day of the Festival, visitors will be able to sample four different drams of single malt whisky and vote for the best pairing. To underline the seriousness of the contest, strict rules will be enforced – there will be no smoked bacon, no egg and absolutely no sauce on the roll. Those who prefer to wait until lunchtime for their first dram of the day can sip their nip along with haggis, neeps and tatties instead. There will also be four drams of single malt to try during this pairing, which brings together the most iconic of Scottish produce. Those keen to continue on the theme of whisky pairings can put their own twist on the amber nectar with a whisky cocktail master classes conducted by master mixologist and author of The Curious Bartender, Tristan Stephenson. Tristan will share his many years of expert knowledge to help participants achieve the perfect whisky concoctions at The Drouthy Cobbler in Elgin. Whisky & Beer: Scotland v The Rest of the World. Scotland might be renowned for its whisky, but the region also produces a selection of popular craft beers which will be celebrated in Whisky & Beer: Scotland v The Rest of the World. The event at St James Hall in Dufftown will see Scottish beers paired with a complementary whisky and food, carefully chosen to result in a taste sensation. Participants will be asked to vote on their favourite beer and whisky combination. 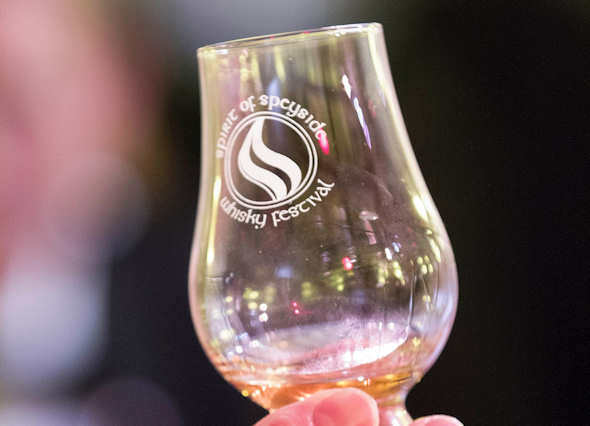 The Spirit of Speyside Whisky Festival is a key event in Scotland’s Homecoming 2014 calendar, and will start Whisky Month – a four week national celebration of Scotland’s world class food and drink. 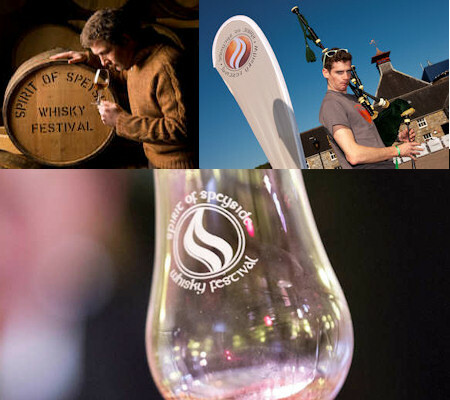 Tickets for all events in the 2014 Spirit of Speyside Whisky Festival programme can be bought via the website – www.spiritofspeyside.com The Festival is also active on social media – facebook.com/WhiskyFestival and @spirit_speyside on Twitter. The website also offers an abundance of accommodation options in the area.